Here's Why Delhi "Snowfall" & Cold Weather Is Bad News Incoming! Yesterday (7th Feb 2019) was one of the season’s coldest days. We experienced a winter evening full of rains and cold winds all throughout the day. Highways full of ice from the hail storm, parking lots and buildings covered in white. The view from the windows looked as picturesque as a postcard from a cold winter evening in eastern Europe or a beautiful hill station after a snowfall. We thought global warming is coming to a slow end and we have won. But here’s where you are wrong. The effects of global warming are just getting started! 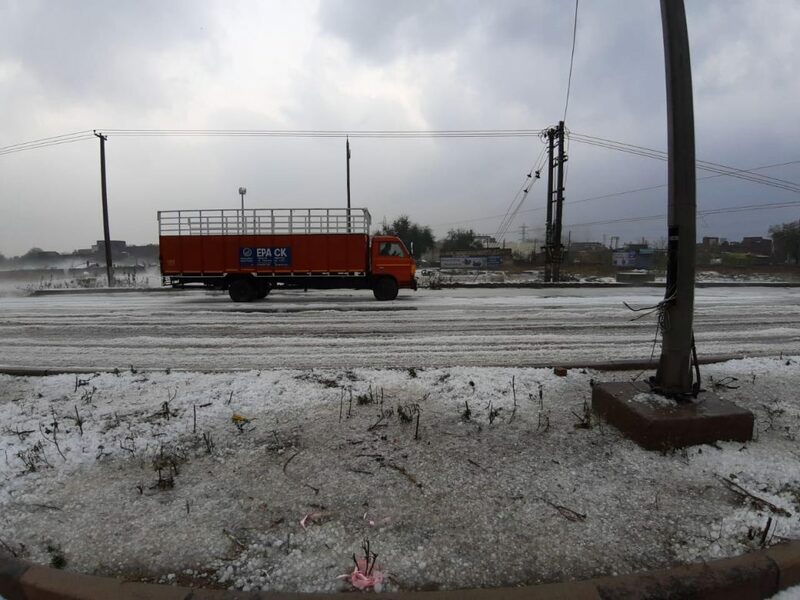 The hailstorm or “snowfall” we witnessed was a part of the bigger picture. Let us break it down for you. Since we don’t want to bore you with big scientific words and technical terms, we’ll put it in simpler words. Air moves from one place to another around the world because of air pressure. In some places, the air is thicker, or more dense, than in other places. Air moves from areas of higher pressure to areas of lower pressure. The Arctic Oscillation is the movement of air back and forth between the North Pole area and the areas farther south. Sometimes, the air pressure is higher in the arctic circle so cold air moves south! This causes unusually cold weather in areas that aren’t generally that extreme. 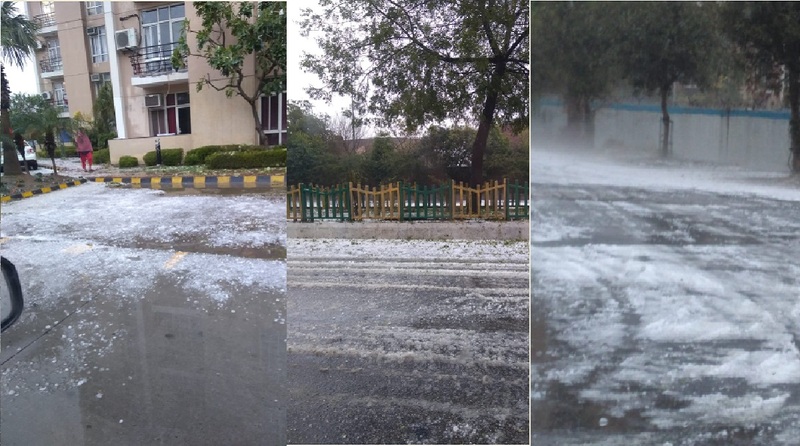 In Delhi, the hail storm and extreme cold temperature was all a part of global warming. How you ask? Scientists say severe winter weather is still to be expected from time to time. That kind of weather happens even while man-made greenhouse gases build up in the atmosphere creating a long-term warming trend for the planet. This actually led to increased “snowfall” and colder temperature because more evaporating water from the atmosphere was available for precipitation. We’ve summed it up in even simpler words. Read this. In the time when the city is warmer, water evaporates more. During the winter, when air pressure is higher in the south, the wind freezes the clouds which lead to snowfall and hail storms. So yes, this happy cozy and perfect weather is all a part of global warming! At the end of it, you can do one of the two things. Put your socks on, slip under the blanket and wait for it, or wake up and do your bit towards stopping global warming! If the hail storm in Noida wasn’t good enough to scare you, we suggest you watch the movie “The Day After Tomorrow“.